We are a specialist electronic workshop dedicated to Land rover Body Control Modules. We have vast stocks of components. Programming, Testing & Repair, Re-build & Re-manufacture. Fitted to vehicles from 1998 to 2004 model years. The Land rover Discovery 2 BCU which is fitted under the left hand side dashboard, behind the passenger glove box on RHD vehicles. This complex module named the BCU (Body Control Module) is the heart of the Discovery series 2 & is fitted to all Discovery’s from the model year 1998 to 2004. The Bcu controls functions from key’s, door locking & immobilisation, lights, windows, wipers, alarm etc. as well as storing the data for your specific vehicle including the coding for the keyfobs & EKA (Emergency Key Access) codes. The diagnostic capabilities allow the switching & control of most of the vehicle systems fitted to the Discovery series 2. When these BCU’s develope a fault, whether is an unlocking or immobiliser issue, persistent warning lights on the instrument binnacle, no front windows or wipers etc, not registering keyfob inputs etc, thus not allowing an unlock or a start, or a lighting issue, or many of the other faults than can develope, then we can help. We can also program previously used key fobs. This procedure can take 24 to 48 hrs. Our service can provide UK re-manufactured Discovery series 2 BCU’s ready for new install programming. We can also repair & rebuild. Data extraction, & if you send us your existing bcu, not only can we test it’s integrity, components & capabilities, & as well as bench testing we also test every BCU on our dedicated Latest edition Discovery series 2, 2004 model year. This allow’s us to be 100% certain your BCU has been repaired correctly. We can diagnostically unlock, key programming problems as well as mileage issue’s. 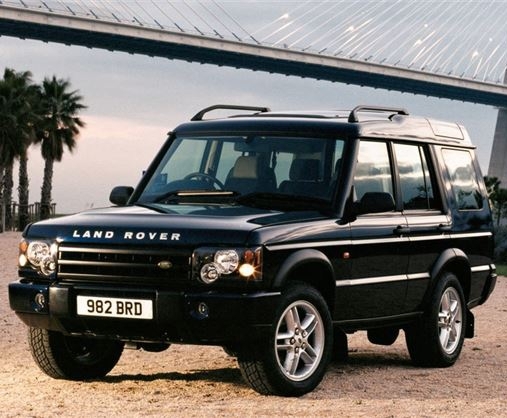 If fact, we can do everything bcu related, just like our reputable Range Rover services. If you’re still not sure, we also offer free polite friendly advice over the telephone or email & listen to every concern or problem. Time isn’t a problem as 95% of our work comes from word of mouth & recommendations. We don’t pay for advertising like others who say they can achieve what we do. We donâ€™t know of any unhappy customers within our 15 years+ of specialising in Land Rover & Range Rover Body Control Models. We are so confident our services cannot be beaten, or even come close that our prices are set. There’s no difference in costs between the trade & private owners. For your piece of mind, feel free to contact us though email or phone. We’re more than happy to offer our free friendly advice, in fact, we encourage it. Weâ€™re a friendly bunch & our advice is free! Feel free to contact us. You can call, text or email us, we’re a friendly bunch & our advice is free! All emails will be answered that day keeping in mind we offer a 12 hour turnaround, & if it arrives before 9am, it usually gets done the same day. If you call we don’t always hear & therefore don’t always answer straight away or it takes more than one attempt, please keep trying. Our fully fitted, up to date, electronic workshop can be slightly noisy when all the complex solder stations are on & working. We can text as we are always waiting for a minute or two for something to heat up, therefore we do accept text messaging. If we receive your Becm or engine ecu before 10am, it usually gets done the same day & sent out the very next morning. Our usual contact hours are 11am to 10pm, although we are known for answering customer emails at 1am. Our free advice is for all our customers, UK, Europe & Worldwide. We use online translators so language isn’t a barrier. We’re a friendly bunch, we all own Range Rovers & Land Rovers with a passion, & all our advice is friendly & free. Just click hereÂ to get in touch.